Play online chess for free. We're creating a modern web-based interface for the Free Internet Chess Server (FICS) — one of the oldest internet chess server with over 800,000 registered accounts. At Free Chess Club, you have access to online chess, puzzles, tournaments and analysis — right within your browser! Access the Free Internet Chess Server (FICS) without the hassle of downloading and installing a chess client. 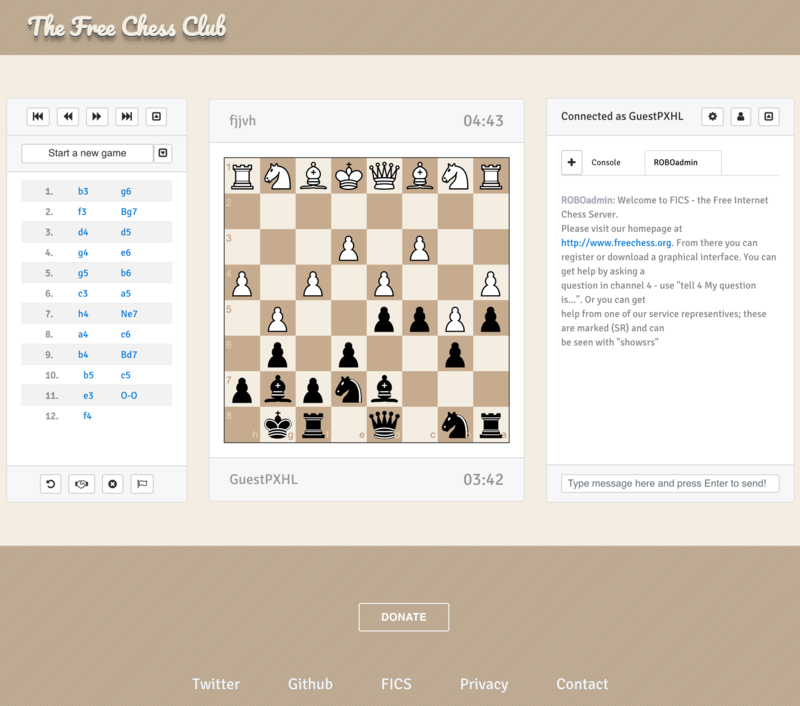 Free Chess Club's web-based client lets you play a quick game of online chess anywhere. Learn to play chess, solve chess puzzles, participate in daily tournaments, play different variants at all levels, play with a computer and watch relayed games. Maximum chess—guaranteed! 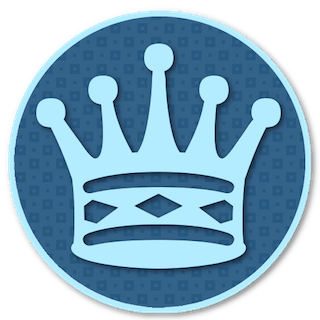 At Free Chess Club, you are a part of a vast community of chess experts and enthusiasts, with free access to a host of channels involving engaging discussions on a variety of topics. 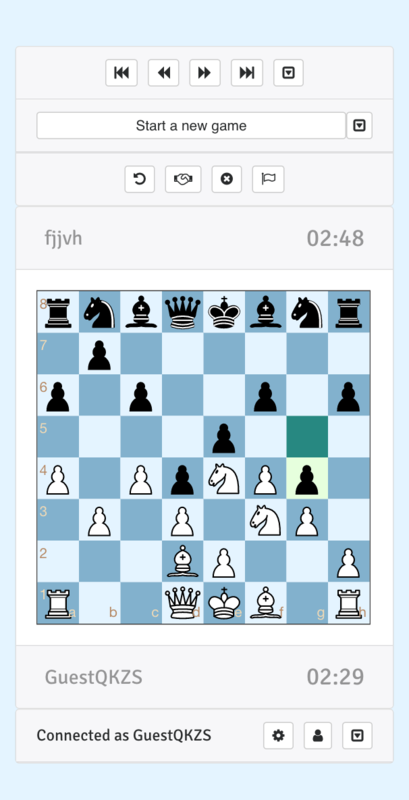 What a great interface for chess enthusiasts ... The best of web meets the best of chess. A new web-based interface for connecting to FICS has been needed for a long time. We really appreciate this work to make a new web-browser interface for FICS a reality. This looks really good ... This could clearly be the best web/mobile FICS UI. Donate bitcoins to support the development, and cover infrastructure and maintenance costs of Free Chess Club. © 2018 Free Chess Club.